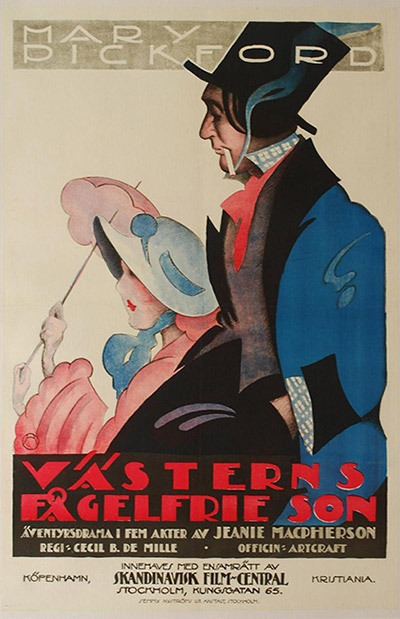 Note: In the Bishop’s Carriage was remade in 1920 by Realart Pictures with Bebe Daniels in the Nance Olden role. 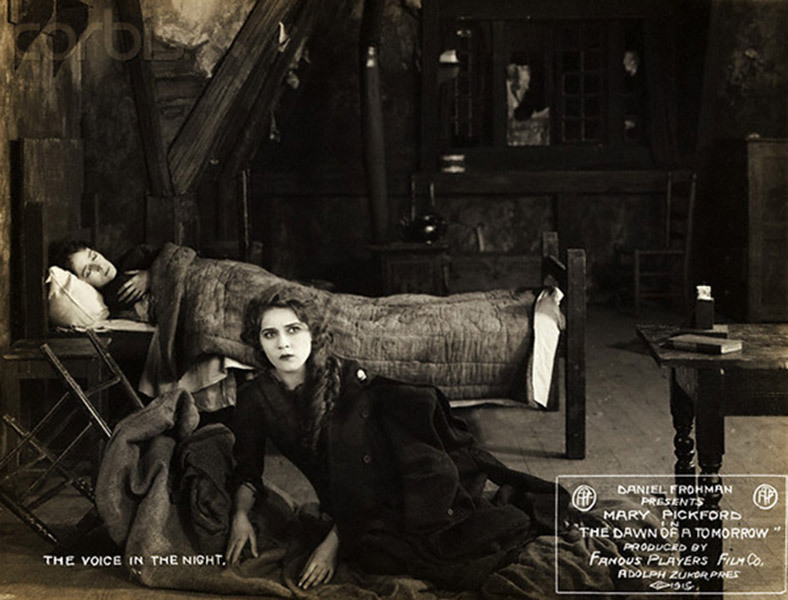 It is several months since picture lovers have seen on the screen Mary Pickford in a new film. In this refined melodrama they will see Little Mary in a new light. ‘In the Bishop’s Carriage’ is a crook play; nevertheless its treatment is so artistic, so delicate, so finished, that it will please every division of society. 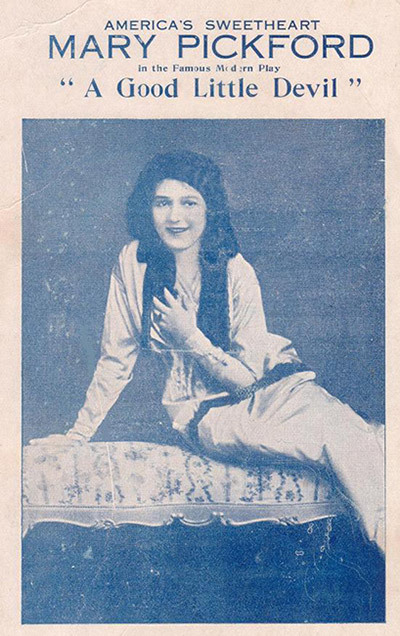 Note: Originally a stage hit starring Minnie Maddern Fiske, Caprice was so popular that Paramount re-released it to theaters in 1918. 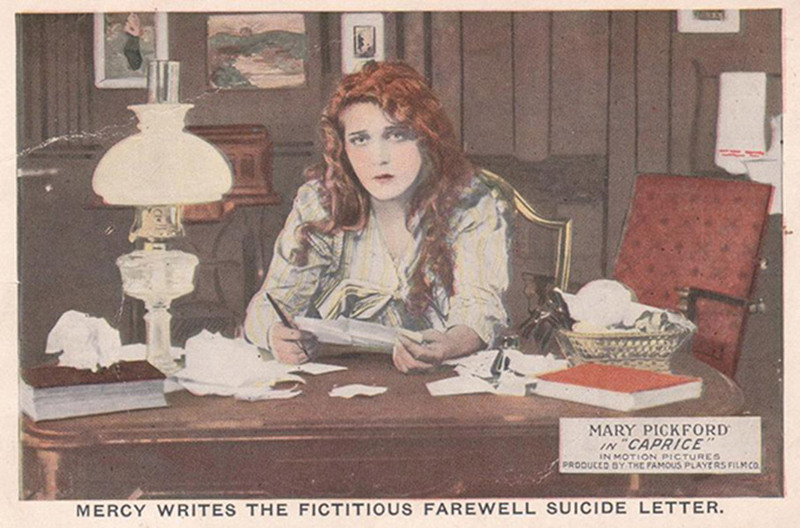 Little Mary of Biograph fame … will appear in ‘Caprice,’ Mrs. Fiske’s former success. No better play could have been selected for her inimitable daintiness. It is a delightful comedy-drama of love and society, with an echo of the hills mingled with the voice of the city. 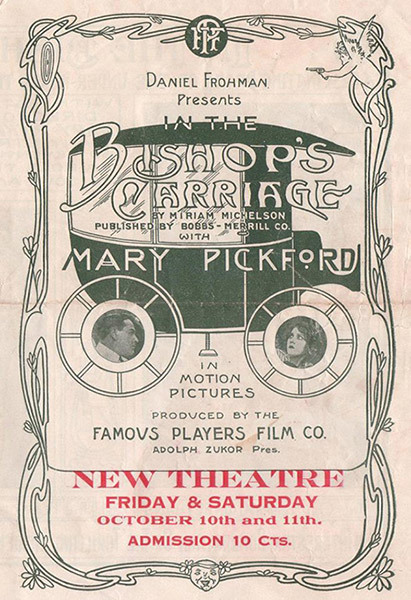 Mary Pickford in ‘The Bishop’s Carriage’ broke all records at Tally’s Broadway. ‘Caprice’ should prove even more of a drawing card. Note: Hearts Adrift was the first feature produced by Famous Players on the West Coast. Novelist Cyrus Townsend Brady sued Famous Players for using his story without his consent; modern sources credit Townsend. 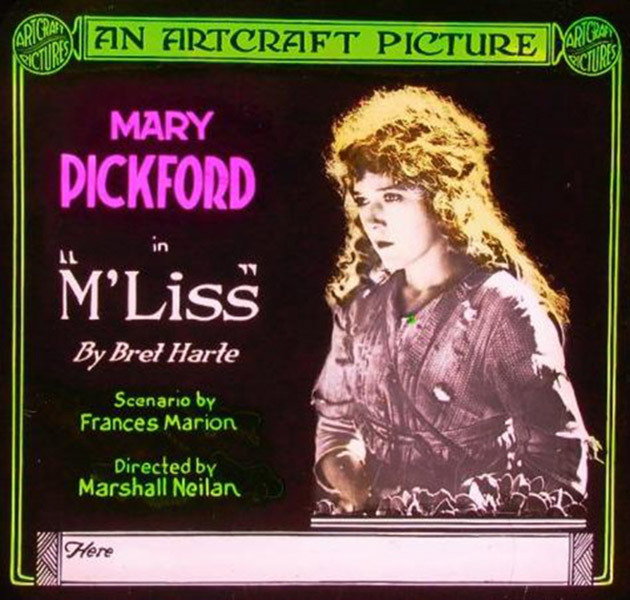 Mary Pickford, the celebrated film favorite, makes her reappearance in the productions of the Famous Players in ‘Hearts Adrift,’ a tragic epic of the deep… The pathos of this drama is softened by Miss Pickford’s charming and piquant portrayal of the role of the little half-savage Nina. At frequent periods in the story Miss Pickford attains high dramatic power, and strikes a distinct note in her delicate rendition of her supreme sacrifice of self for love. 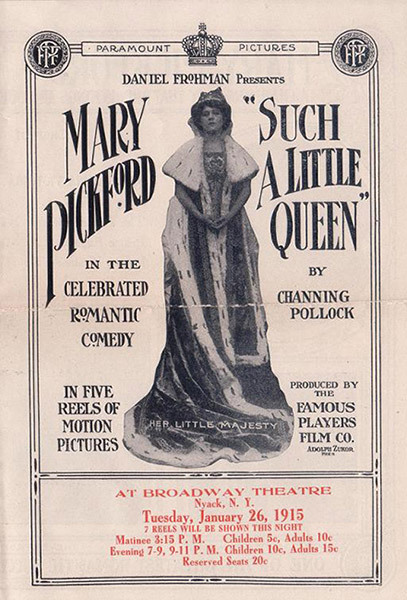 Note: Mary had played the same role in David Belasco’s 1913 stage version of A Good Little Devil. Here’s one film on which the movie exhibitor of the country can’t go wrong. … There’s a lot of good, wholesome fun in ‘A Good Little Devil’ and there’s fantastical trimmings of the fairy land sort and real pathos of the typical kind that motherless little kids encounter each day that combine in making the play a movie worth while. 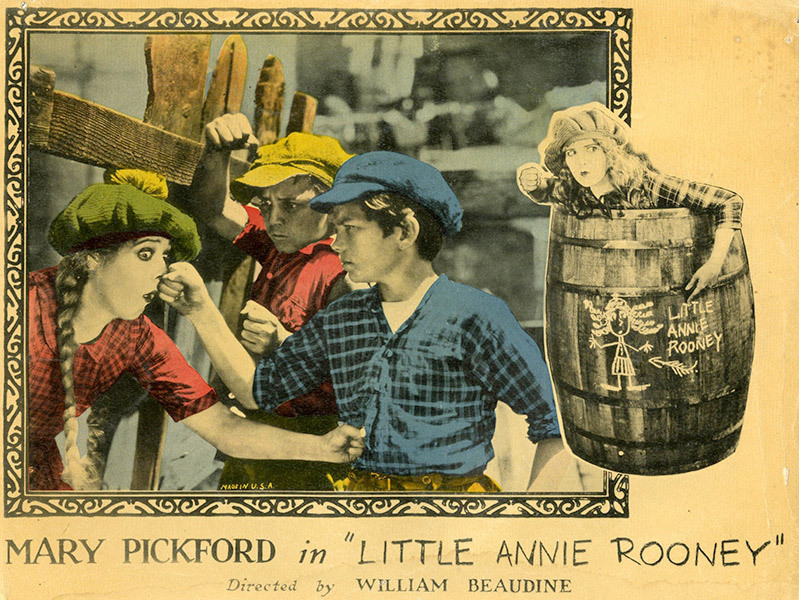 Miss Pickford does bully work as the blind girl and makes the role stand out as a lovable, childlike sympathetic bit of acting that is irresistible. 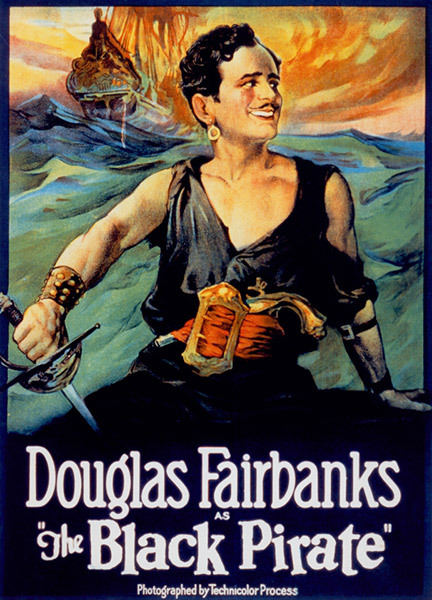 Note: An enormous success at the box office, Tess of the Storm Country would be re-made three times; Pickford’s own 1922 update, a 1932 Fox talkie with Janet Gaynor, and again at Fox in 1960 with Diane Baker in the title role. 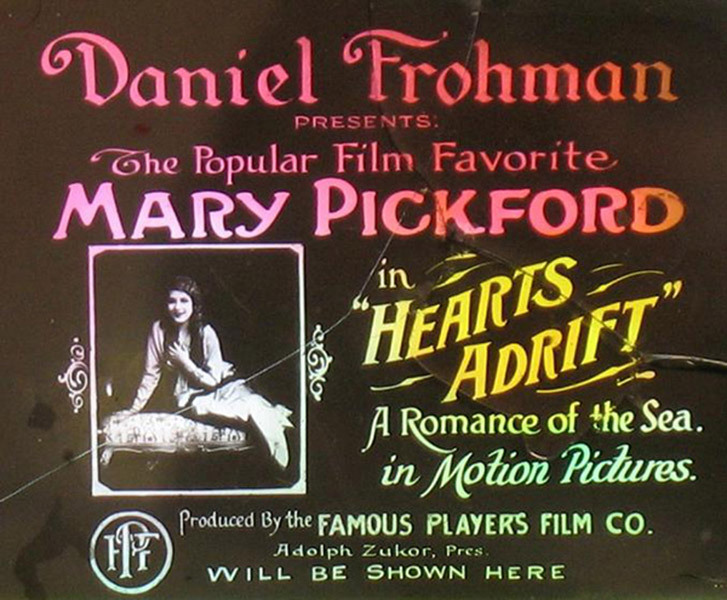 In ‘Hearts Adrift’ and ‘A Good Little Devil,’ Mary Pickford had no opportunity to demonstrate her true value as a movie actress. In ‘Tess of the Storm Country’ … Little Mary comes into her own and her work in this five-part movie production so far o’ershadows her work in the other films there’s no comparison. 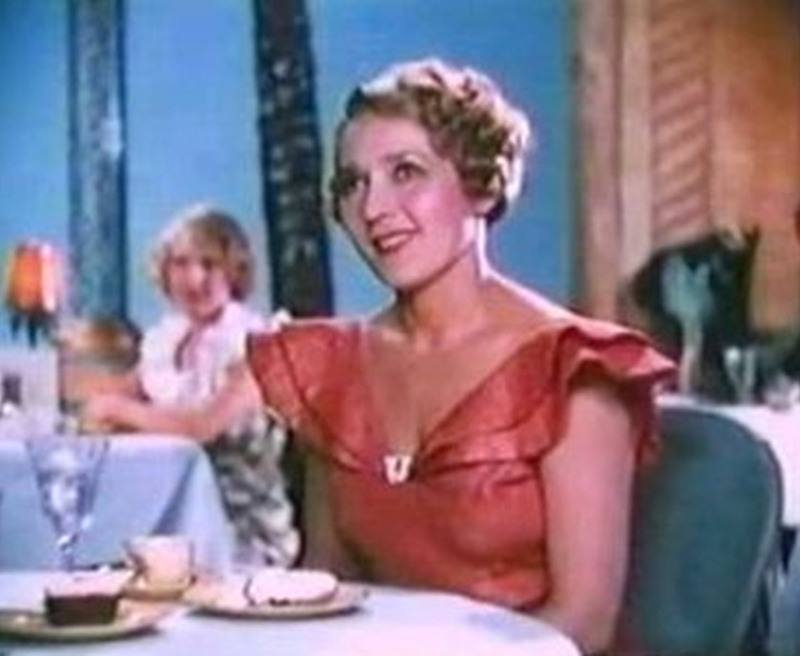 As the little, expressive-eyed tatterdemalion of the Lake Cayuga shores, Miss Pickford sticks another feather in her movie crown which will help the Famous Players reap a benefit in more ways than one. Note: Long considered lost, a print of The Eagle’s Mate was acquired by the George Eastman House in 2000. Mary Pickford … is one of the few picture actresses, or actors for that matter, who can interject personality into a negative. She breathes the role taken, and it fits her, up, down and all around. 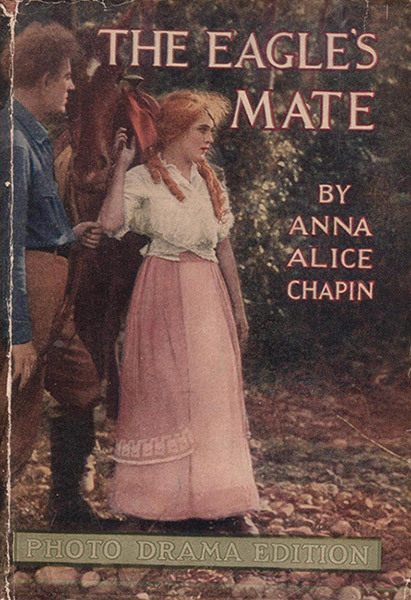 … ‘The Eagle’s Mate’ is a lively feature without a real kick – but it has Mary Pickford, better than the best kick or punch that could have been put in, for Mary Pickford is the Ruth Chatterton of the movies. Note: Originally produced at Broadway’s Hackett Theatre in 1909, Such a Little Queen was remade by Realart Pictures in 1921, with Constance Binney in the lead. Miss Mary Pickford has the role of Queen Anna Victoria of Herzegovina; and her performance is that of rare quality which we always expect from this star. Comedy and drama are alike to her. She is as delightful in the one as she is moving in the other. As a comedienne she seldom does the anticipated; and therein to a great degree lies the charm of her work. Note: Behind the Scenes is notable in being one of the few films in which Mary portrays an actress. In this feature Miss Pickford is seen from every angle in all of her camera moods, and to those who are Pickford fans it will be a feast. … The cuteness of Mary Pickford is proverbial. She alone can carry this picture, and that she will to big returns goes without saying, for besides Pickford, it has ‘the stage’ from the inside. 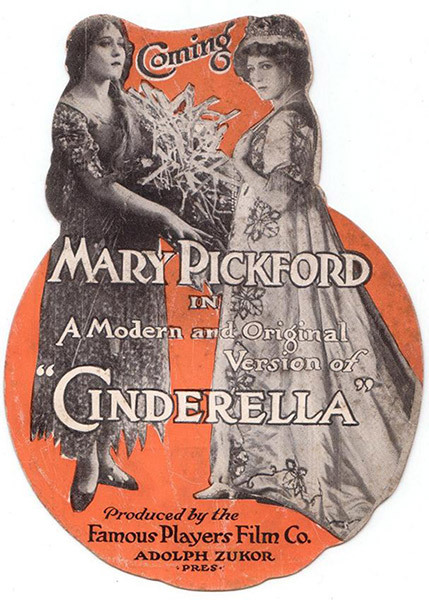 Note: Known prior to its release as The Stepsister, Cinderella features Mary’s then-husband Owen Moore as Prince Charming. 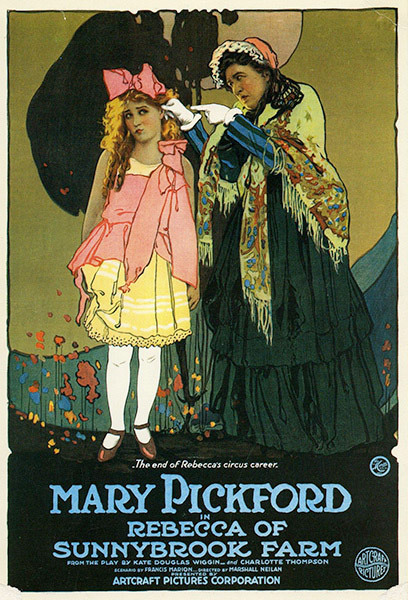 Miss Pickford portrays every phase of the fairy heroine’s career, from pathetic cinder girl to bejeweled princess, with equal charm and winsomeness, and every scene is made more appealing by the beauty and grace of the beloved little film star. 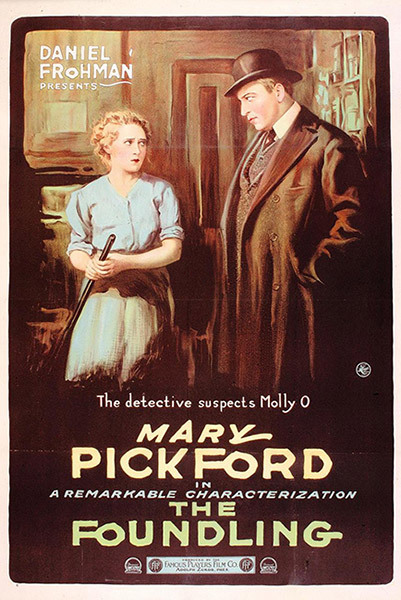 Note: Mistress Nell marked Mary’s final appearance onscreen with Owen Moore. 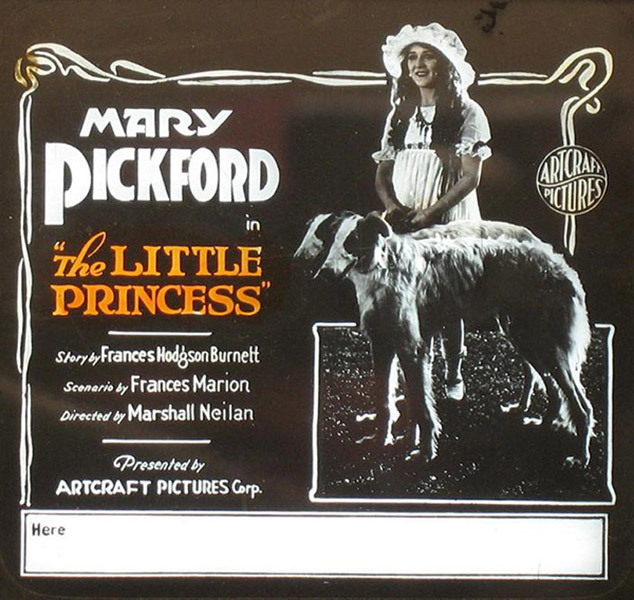 Mary Pickford and beautiful scenery are the important factors in this feature produced by the Famous Players. … At Miss Pickford’s first appearance on the screen in this picture at the Strand Sunday a rousing reception was given her. 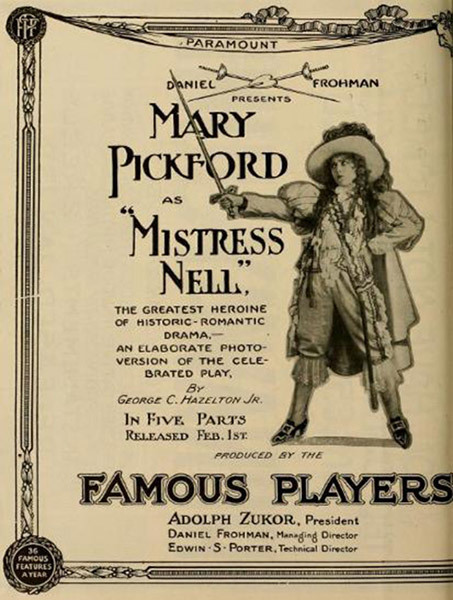 … ‘Mistress Nell’ was a successful play and it is going to be a successful feature through Mary Pickford being in it. Note: According to Fred Astaire, the young performer met all three Pickfords while visiting the set in Delaware Water Gap. 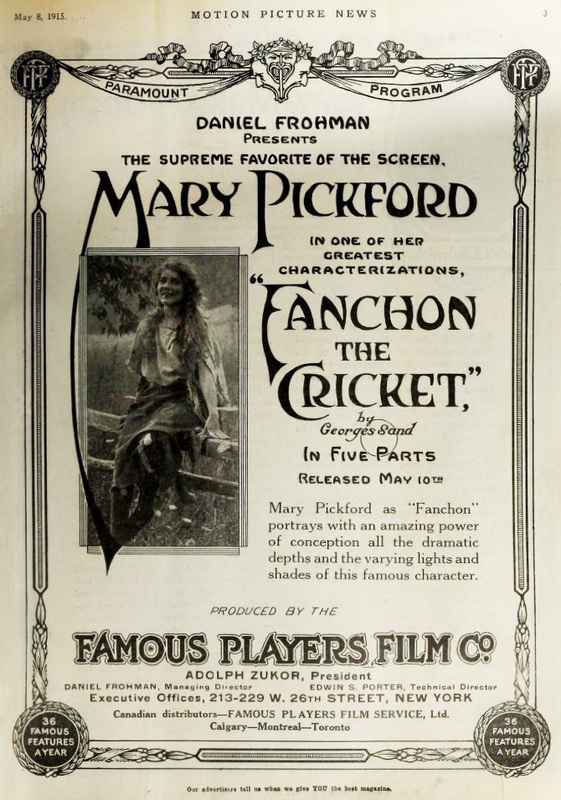 The charm of the cricket has made its appeal to the poets from the days of Anacreon, but there was never a sweeter cricket than Fanchon and let me hasten to add there never was a Fanchon like Mary Pickford. 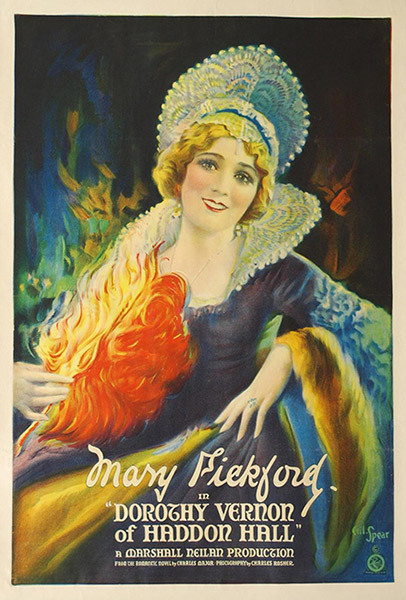 Yes, I know that the greatest of the French and the English and the American stars have attempted and have successfully rendered Fanchon, but I stick to my belief that none ever surpassed and few approached the work of Mary Pickford. 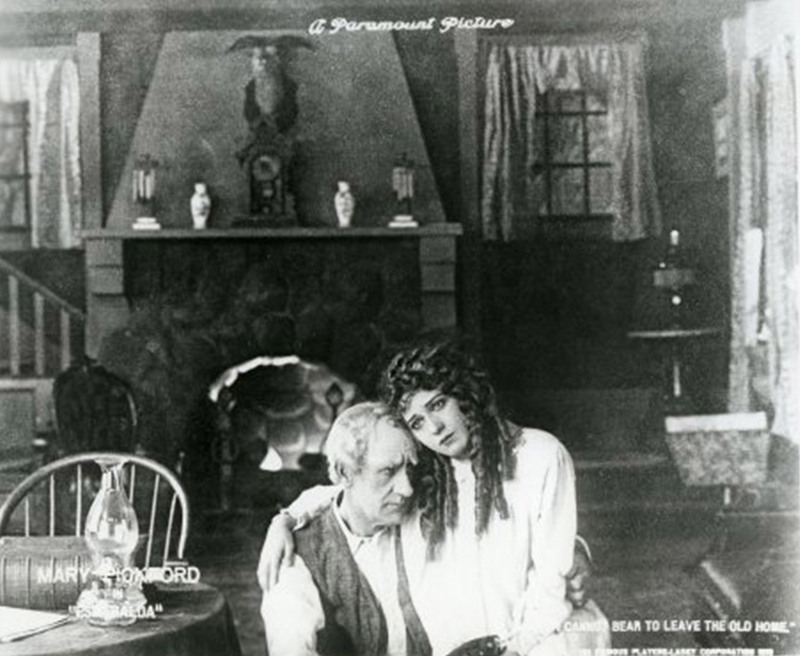 Note: The Dawn of a Tomorrow was re-released by Paramount in 1919. 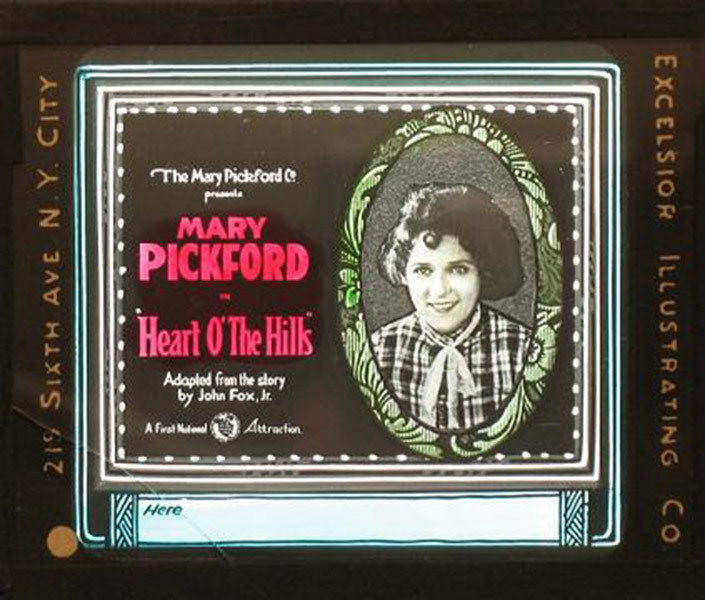 The Famous Players in this latest Mary Pickford feature has turned out a subject that carries plenty of interest in theme with a brand of first grade photography supporting it to land it among the top-notch list of current releases. 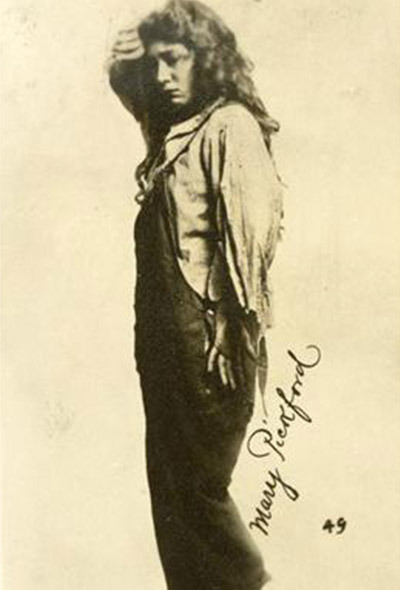 Pickford is given full reign in her tattered garments and Pickford in rags can do considerable before a camera. Note: Little Pal would prove to be one of Mary’s least popular roles; she played an Inuit girl at the insistence of Adolph Zukor, who sought to increase her worldwide popularity by casting her as women of different nationalities. ‘Little Pal’ will be welcome to those who claim there is such thing as a ‘platonic friendship,’ outside the stage or between book covers. Now the pictures have it, in the Famous Players’ latest Mary Pickford production. … The F.P. has its customary faultless production. Several exquisite snow scenes are pictured at intervals. … the picture is an interesting one. Note: Though reviews of the film were not overwhelmingly positive, Esmeralda was another smash hit for Mary; the Strand in New York reported “packed houses” and “standing-room only” shows. Sadly, the only remaining copy of the film decomposed due to improper storage in the 1950s and is now lost. Miss Pickford is enshrined in the hearts of all the people, not because she is the sweetest of the limpid non-entities, but because she is a young woman of powerful personality and extraordinary dramatic talent. Hers is the art which conceals itself. Such hen-yarn drama as ‘Esmeralda’ is as unworthy of criticism as it is unworthy of Mary Pickford. Filming Location: Airplane scenes shot at Griffith Park; Catalina scenes shot aboard John Spreckels’ yacht; Interiors shot at Clune Studios in Hollywood, CA (now Raleigh Studios). 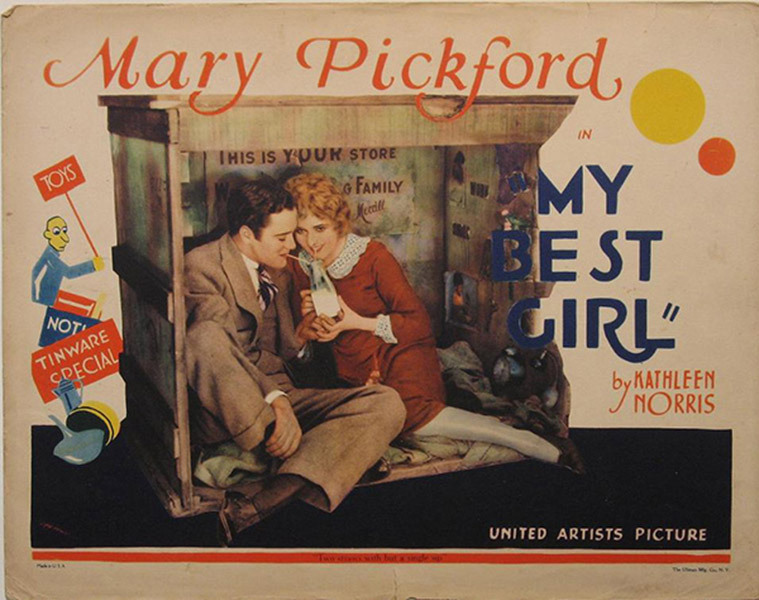 Note: A Girl of Yesterday is notable for being the only feature in which Mary and Jack Pickford play brother and sister. 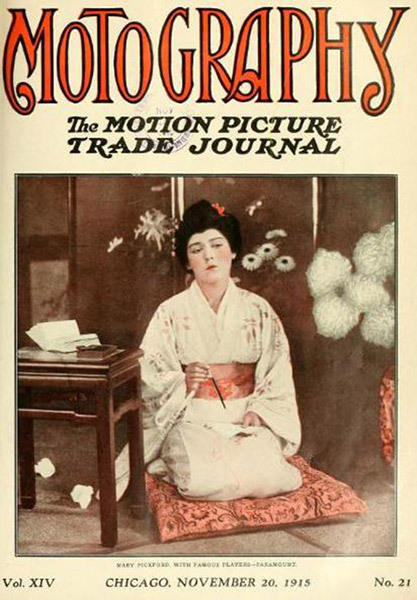 Mickey Neilan credits Frances Marion with writing the story. 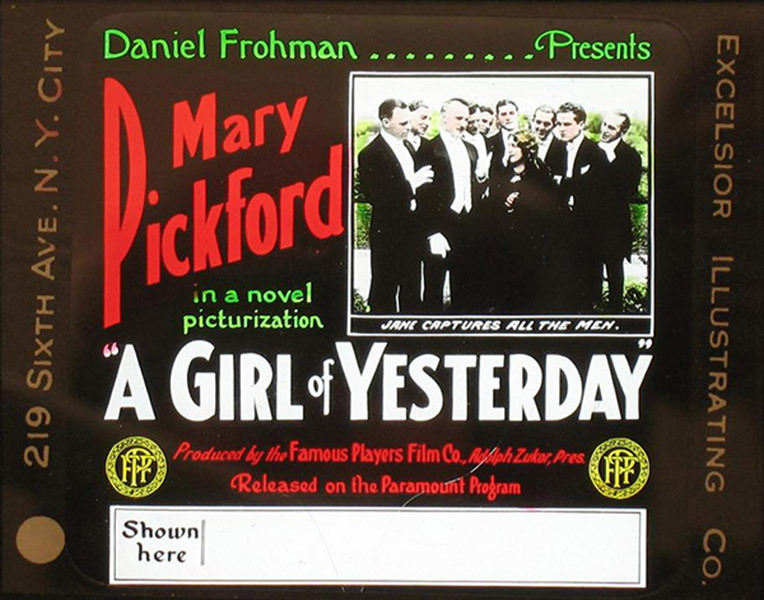 ‘A Girl of Yesterday’ with Mary Pickford as the star … is so arranged to give Mary Pickford an opportunity to display a lot of gowns and the fact that she can play a little golf, is a good little sailor, is not afraid to go up in an airship and, last, but not least, it gives the public another opportunity of looking at this little queen of the screen. 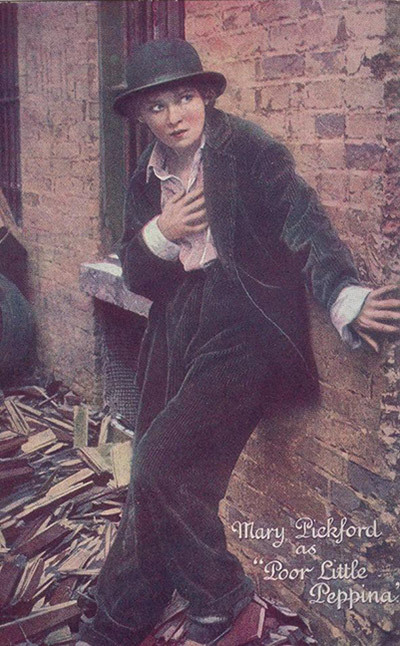 Note: Broadway producer David Belasco was the first to dramatize Long’s story for his 1900 stage production. For many moons it has been stated, and repeated, in the motion picture fraternity that Mary Pickford was a wonderful artist along certain lines, but that said lines were limited and quite circumscribed. This statement had become so familiar that it was generally accepted as a fact. Well, you Doubting Thomases and Unbelievers, go to the Strand this week to see her in the Famous Players’ (Paramount) production of ‘Mme. Butterfly’ and disabuse your minds of any such idea once and for all. … Words are useless to describe the beauty and artistry of it all – the production, the photography … and above all else, Mary Pickford. The Famous Players has never turned out a finer feature – nor indeed has anybody else. 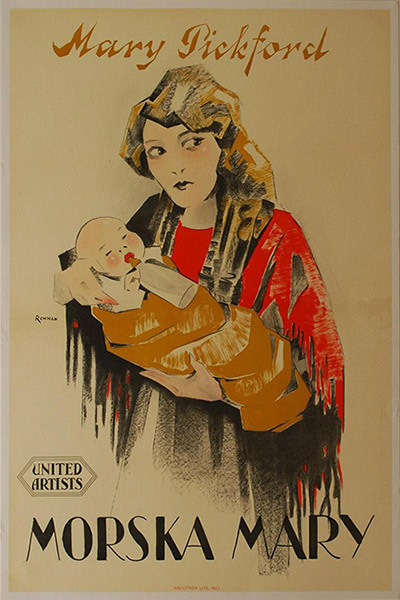 Note: The Foundling was the first of her films to be produced by Mary. 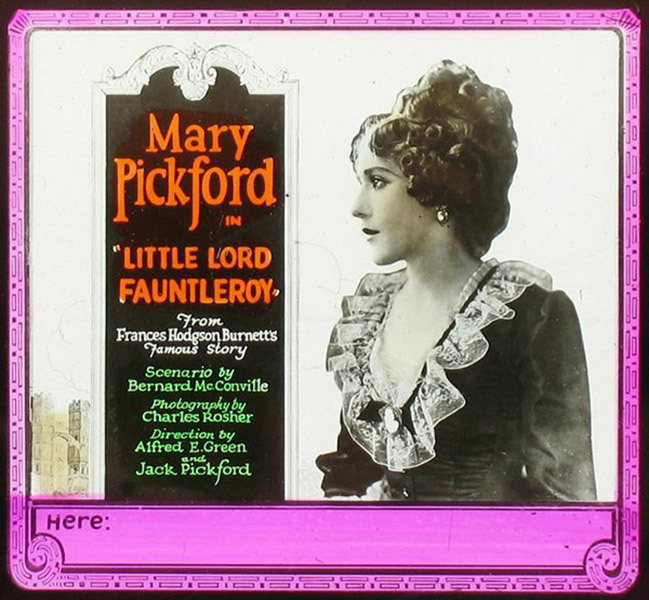 It is a typical Mary Pickford story in which we see Miss Pickford in ‘The Foundling,’ the Famous Players five-part release of January 3. There are present those elements which in greater or less degree have been factors in her most successful pictures. … Miss Pickford is at her best. 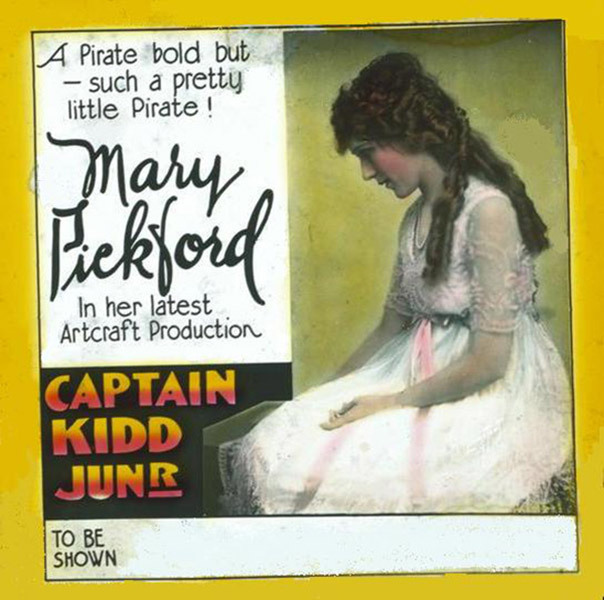 ‘The Foundling’ should be one of the more popular Pickford releases. There is nothing mysterious about the hold this little actress has on her public. In all her moods there is a fascination that does not elude the camera. She is always dainty, spontaneously playful … becomingly demure, and prettily sentimental. So when Mary smiles her audience smiles with her; when she makes love, hand clasps out front are tightened; and when she hangs her pretty head with its curls handkerchiefs absorb briny moisture from the sea of upturned faces. Filming Location: Dutch village exteriors shot in Water Mill, Southampton, NY. 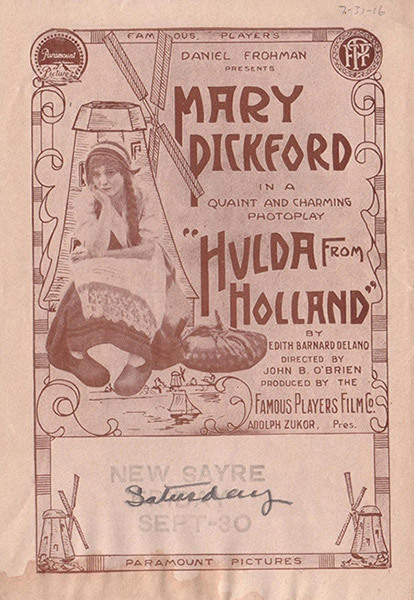 ‘Hulda from Holland’ as a picture will delight friends of Miss Pickford everywhere. Hulda as a characterization is filled with charm, with the distinctive bits that seem to be Miss Pickford’s sole property in spite of manifold efforts by numerous others to appropriate them. 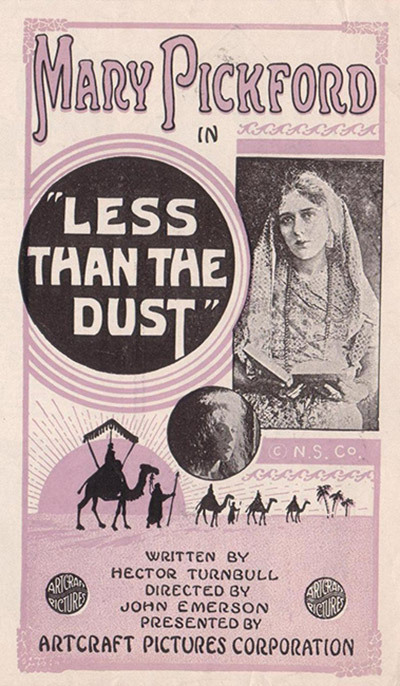 Less Than the Dust was the first film released under Famous Players’ new Artcraft division. Artcraft’s bow to the photoplay public is a most happy one. It provides in the first place an excellent story; in the second place it brings back to the screen Mary Pickford, now for several months among the absentees. … The story is ‘very much Pickford’ but by no manner of means is it ‘too much Pickford.’ The popular player dominates the production, but she has fine support – from every department that enters into the making of a picture. Note: Co-star Matt Moore was Owen Moore’s brother, and a successful actor in his own right. 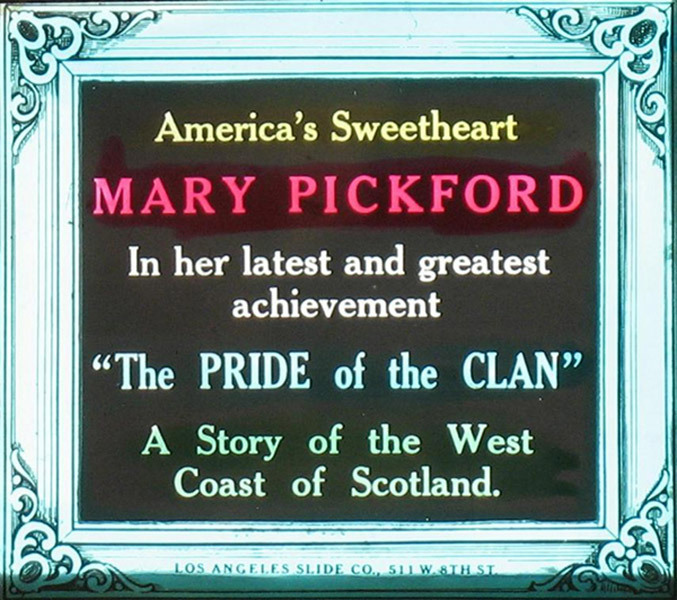 The Pride of the Clan was the first film shot in the Marblehead area. The wonderful heart appeal as well as the dramatic finesse in ‘The Pride of the Clan’ makes it an offering that will prove of universal appeal. … Mary Pickford’s appearance is always one of charm. No matter whether she is in rags, there is always the same charm, the same winsomeness and the same sweetness that makes her so appealing to everyone. 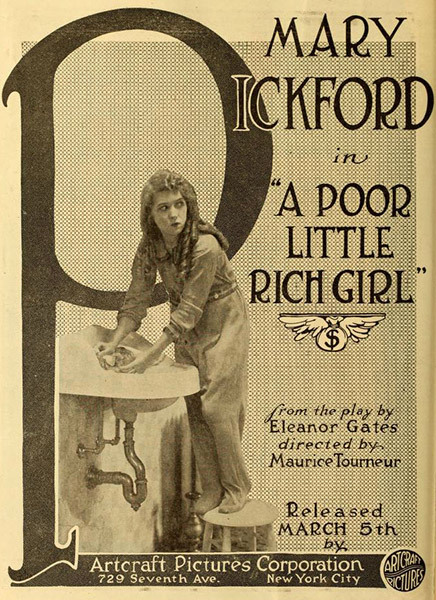 A curious and appealing combination of delightful comedy and fairy story with a moral is ‘Poor Little Rich Girl.’ Mary Pickford is its star … and the Pickford star is of the never-grow-old type. She looks a trifle older than 11 years, but she is the child in manner, feeling and appearance, too, in her skirtlets and pajamas. … A pretty and amusing play – with some faults and lumps to swallow – but, altogether, good. And then – it has Mary! Filming Location: Exteriors shot near Santa Cruz, CA; Interiors shot at Famous Players-Lasky Studio at 1520 Vine St. in Hollywood, CA. As usual, Mary Pickford, for whom this scenario was written, carries the honors and success of the picture on her capable shoulders. Without her charm and simplicity of acting it would be quite another story. … It is remarkable how much Mary Pickford makes of a series of very ordinary situations in what would otherwise be a mediocre melodrama. It’s a Pickford. ‘Nuf said. 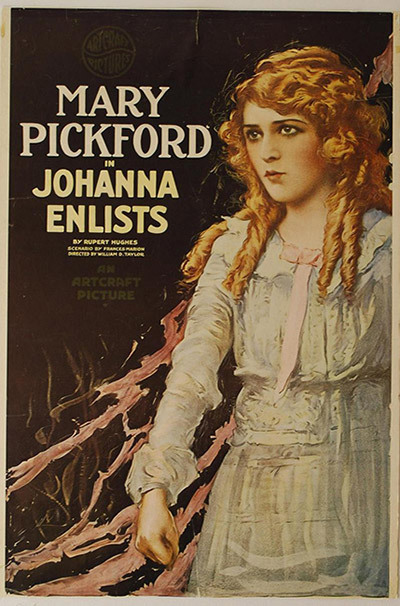 Just Mary Pickford, the same Mary that one has seen in a score of other pictures, only this time she is made the central figure of a war story. A story that is commonplace enough in itself, but which is saved through the remarkable production that Cecil DeMille has given it. Filming Location: Exterior scenes shot in Pleasanton, CA. Farm house scenes shot in Gladwyne, PA and at nearby Valley Forge Studios; Interiors shot at Famous Players-Lasky Studio at 1520 Vine St. in Hollywood, CA. 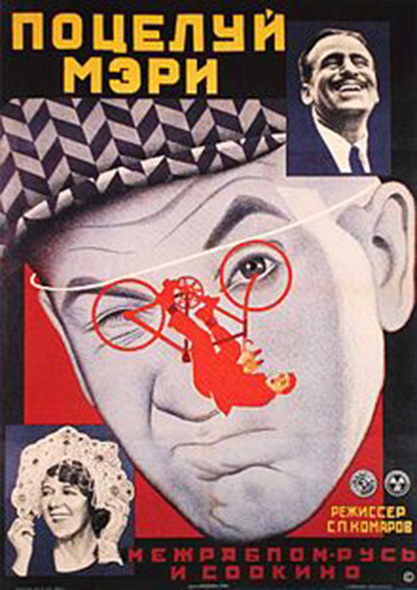 Note: A young ZaSu Pitts had a role as an extra in the film. Superlatives, so indiscriminately used with reference to pictures in many instances, seem inadequate in properly approximating the transcendent merit of the latest Artcraft production, ‘Rebecca of Sunnybrook Farm,’ with Mary Pickford in the titular role. It is a master work that is going to stand supreme in its particular niche for several years to come. 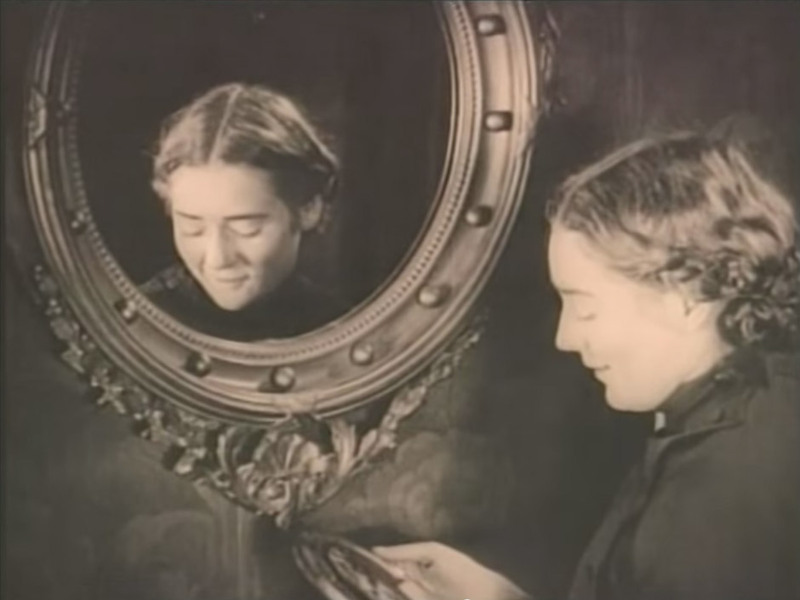 … Miss Pickford plays as she never played before, varying lights and shades to elicit the major interest, tearful at one moment and laughing the next, holding the auditor at all times in mute admiration. … Mary Pickford is given an opportunity to act and the manner in which she grasped it will prove a revelation to her many followers. … There are two characters in Mr. Locke’s story of great importance. One was Stella Maris and the other Unity Blake. Miss Pickford plays them both. In the former she is the sweet ingénue type one expects her to be, but in the latter she is a deformed little slatternly slavey that will make you rub your eyes and look twice to assure yourself it is Pickford. 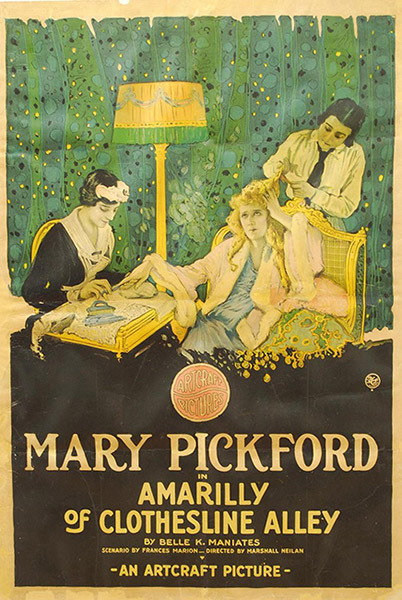 Mary Pickford follows her remarkable ‘Stella Maris’ with another character study scarcely less remarkable, Amarilly Jenkins in ‘Amarilly of Clothesline Alley.’ The role is midway between the hopelessly tragic slavey in ‘Stella Maris’ and the pathetically optimistic Stella herself. … All this is done in Mary Pickford’s blithest vein, reminding us once more that she is the greatest of all screen actresses. Mary Pickford is without doubt the most adorable young thing on the screen, the loveliest, the most fascinating, the best comedienne of them all. 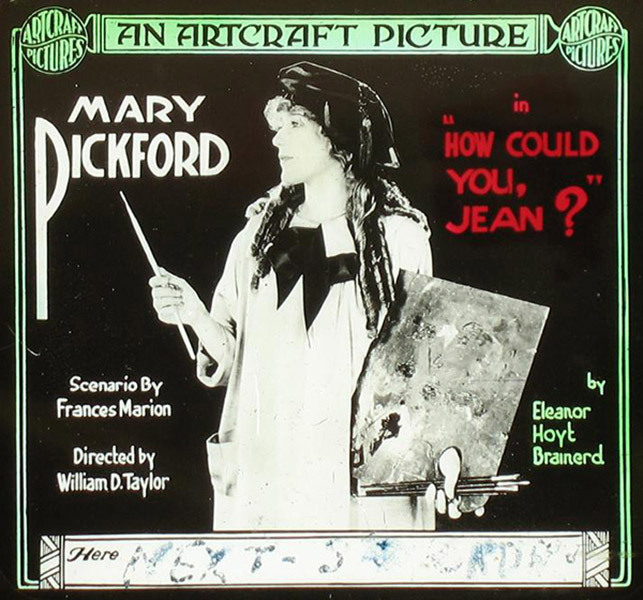 And in ‘How Could You, Jean?’ the screen version of one of Eleanor Hoyt Brainerd’s galvanically sprightly stories, our Mary has been given opportunities for comedy that compel her to show us her very best paces. Does anybody in pictures give us better, sweeter, more wholesome and natural comedy than Mary Pickford? And how does she manage to look forever like 14? And what does she do to her lovely face to make it so ugly when she wills? All these things are secrets of her wonderful art, and we would like to know. As a whole ‘Captain Kidd, Jr.’ is rather a disappointment. The story isn’t there in picture form, the production is cheap and as a feature production, with Miss Pickford as the star, it fails to stand up at anytime. The only amusing touch in the entire picture was the parrot that shrieked curses on everybody, and these were the only laughs that were forthcoming. Whatever others may hand to the First National with the idea of slipping the same thing past the public, Mary Pickford gives that organization the real goods. 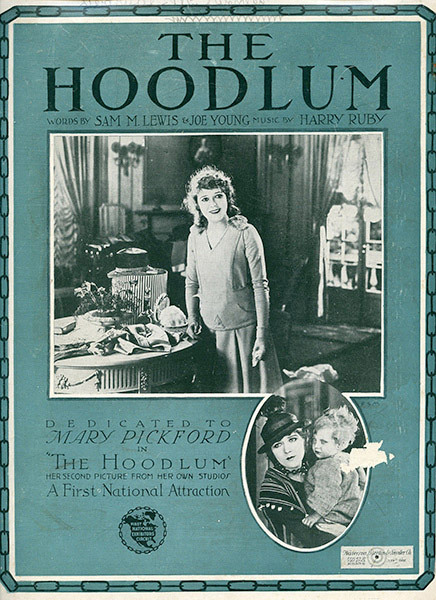 … ‘The Hoodlum’ will pack them in as it did this week locally, and, better still, it will send them away delighted and happy, for this little blonde star’s amazing talents are hers lightly and charmingly in evidence. 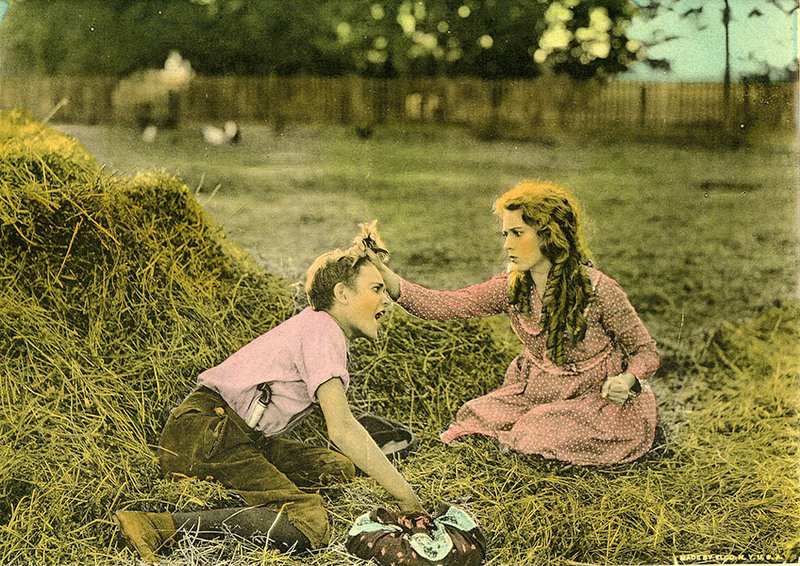 Screenwriter: Bernard McConville and Madeline Matzen, based on the 1913 novel The Heart of the Hills by John Fox, Jr.
Mary Pickford herself, as the wild little Mavis Hawn, once more enters into her physical descriptions with the fury of a novice who has everything to gain and nothing to lose – and the painstaking care and cunning detail of the celebrated performer who has everything to lose and very little to gain: altogether, an unbeatable combination of talents. Whatever opinion you may hold of the strength of ‘Pollyanna’ as a play for the screen, you cannot deny the artistry of its star, whose light, far from becoming dimmer as time goes on, seems to be always attaining a nearer place to the zenith of its brightness. 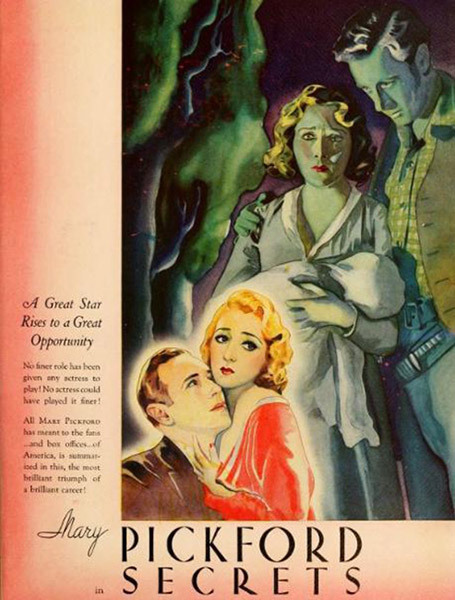 … the Mary that is shining forth in the screen adaptation of Eleanor H. Porter’s novel … is a being who radiates a beacon-light ideal – an ideal in which is blended everything that causes human aspiration to be worth while. …the Pickfordian cleverness and charm are effulgently present, and the question which was on everybody’s lips some time during the action was, how is it possible for anyone to look so beautiful and so ugly at the same time as Miss Pickford does? 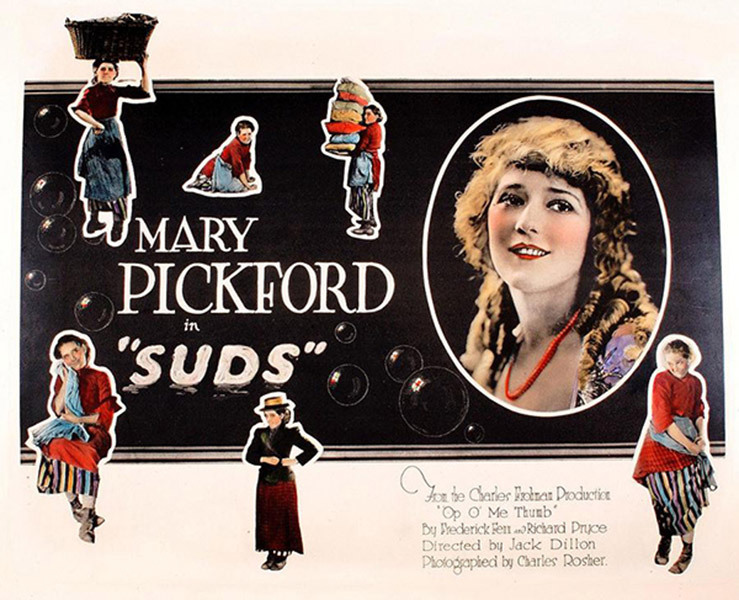 … In ‘Suds’ we have, therefore, another gay, glad Pickford feature, with a disappointing finish which is offset, partially, by the cleverness of the star’s artistry. Note: Initially titled A Flame in the Dark, The Love Light story was conceived by Frances Marion while visiting Italy. With any other star ‘The Love Light’ might be classed as an exceptionally good program picture … but with Miss Pickford it is certain to suffer by comparison with her other pictures. She is a symbol of sunshiny girlishness, and does not fit well into a garb of mature morbidity. Mary in motherhood is not Mary as the millions know – and want her. 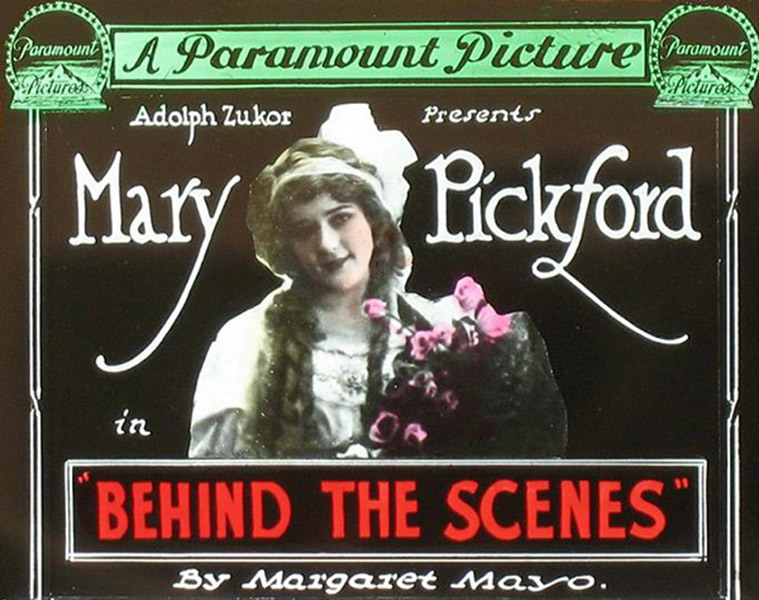 Miss Pickford’s latest picture, ‘Through the Back Door’ … has the usual smile-and-tear story, but never since ‘Stella Maris’ has Mary revealed more exquisite and compelling powers of successfully paging our smiles and our tears. I’ll defy you not to laugh hilariously at Mary as the mischievous kid, who told to scrub the floor, mounts the two big scrub brushes and uses them as skates over the slippery floor. 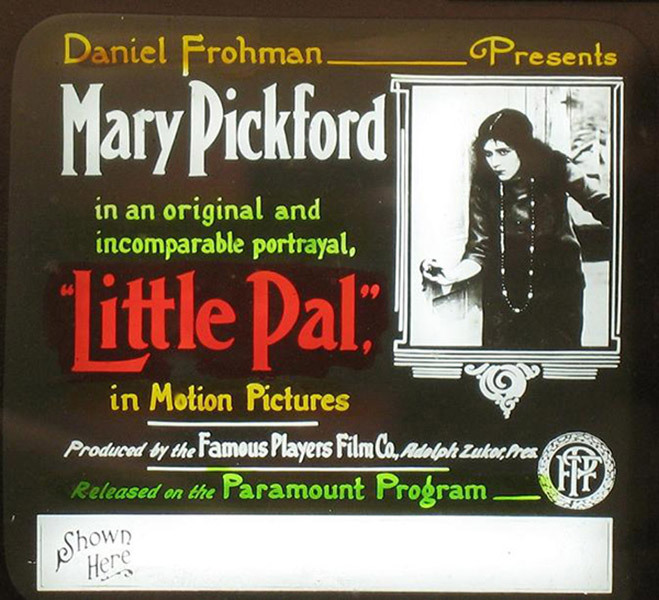 ‘Little Lord Fauntleroy’ is a perfect Pickford picture. 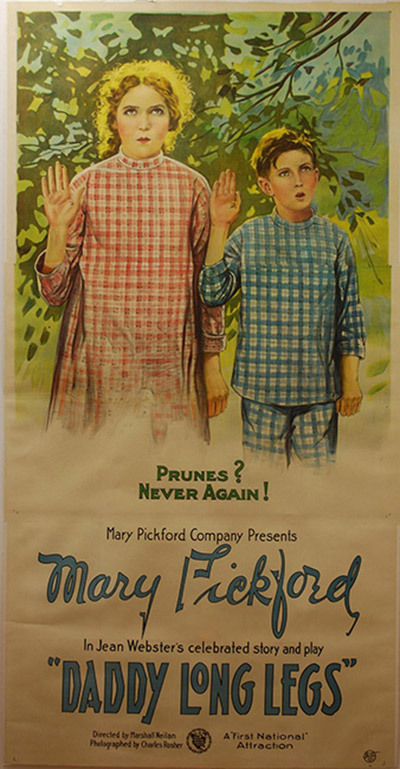 … Miss Pickford shows a range of versatility between the blue-blooded and somber mother and the blue-blooded but mischievous kid, that is almost startling. She meets herself many times in double exposures, and she is taller than herself and different from herself, and incredibly true to each. 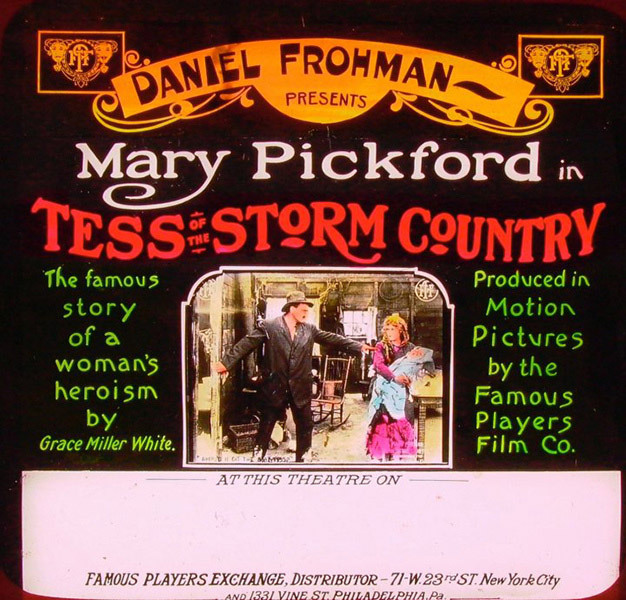 We shall not be surprised if Miss Pickford’s new production of the famous story of ‘Tess of the Storm Country’ becomes the most popular picture ever made. We do not view it as one of those sensational and timely successes which creates a great furor for a moment and then quickly shifts away to make way for another similar skyrocket hit. This picture is almost here to stay; it will go on year after year – and it is eminently deserving of it. Note: Future Fox star Charles Farrell has a bit part in the film. 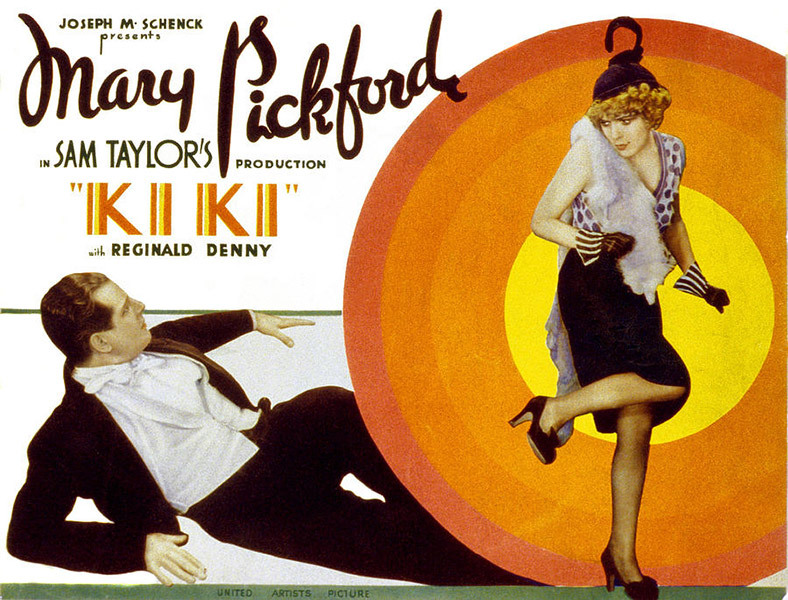 Enter Mary Pickford, actress, as Rosita in a screen production of the same name directed by Ernst Lubitsch. A Mary Pickford different and greater than at any time in her screen career; a Mary Pickford with her hair done up, pretty as a picture and displaying acting ability few thought her capable of. 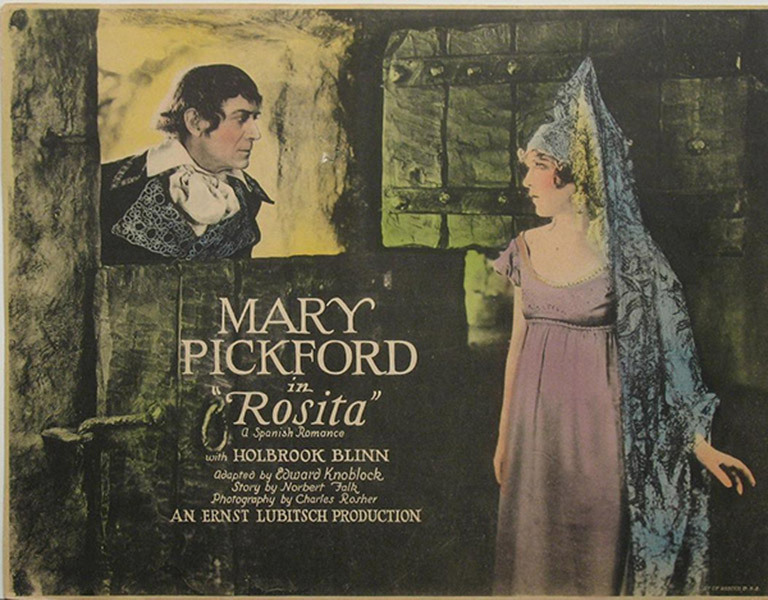 … ‘Rosita’ is going to mark an epoch in the career of this star. 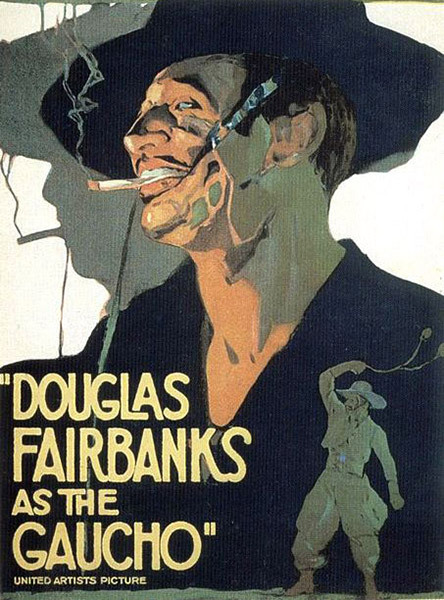 Screenwriter: Story by Winifred Dunn, adaptation by C. Gardner Sullivan, titles by George Marion, Jr. 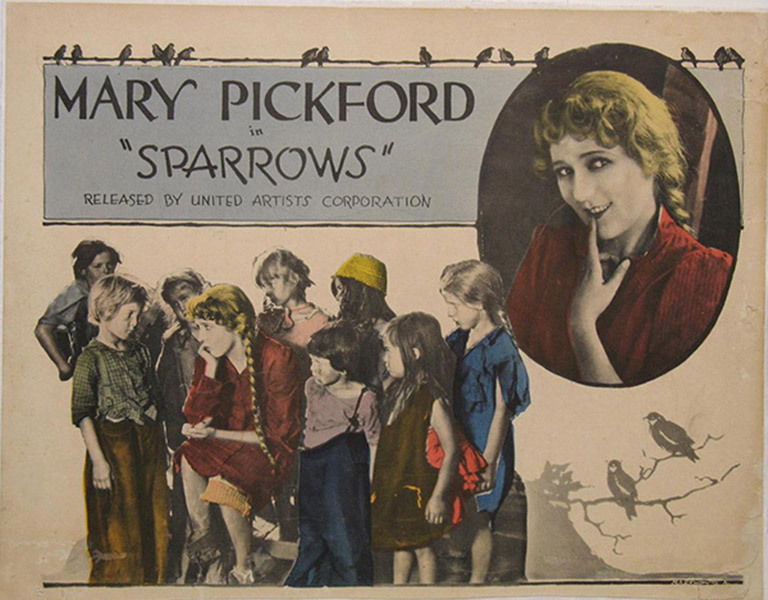 Among the pictures Mary Pickford has made in the past five or six years, ‘Sparrows’ stands absolutely supreme. By many it will, in fact, be acclaimed her greatest picture. … For ‘Sparrows’ is not only a remarkable triumph for its star – it is one of the most human and thrilling experiences that has ever been offered through the medium of the screen. During their travels in the Soviet Union in 1926, Doug and Mary were recorded by the director Sergei Komarov and his crew. The couple knowingly participated in the filming as a gesture of support for the Russian film industry. 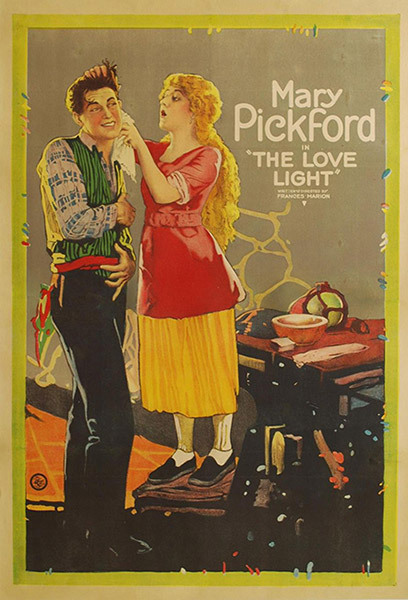 At Mezhrapom Film Studios, Pickford embraced and planted a kiss on actor Igor Ilyinski and Komarov decided to build a full-length feature around this shot, as a result, A Kiss From Mary Pickford, was released in the Soviet Union in 1927. Note: Carole Lombard has an uncredited role in the film as a flirtatious shopgirl. With a story by Kathleen Norris, an adaptation by Hope Loring, an ‘America’s Sweetheart’ to play in it, the picture could not fail to be interesting. … You will carry away memories of the beautiful love episode between Mary Pickford and Charles ‘Buddy’ Rogers. … The love scenes between these two are marvelous – beautiful, clean, and gripping. The best picture Mary has made in several years. 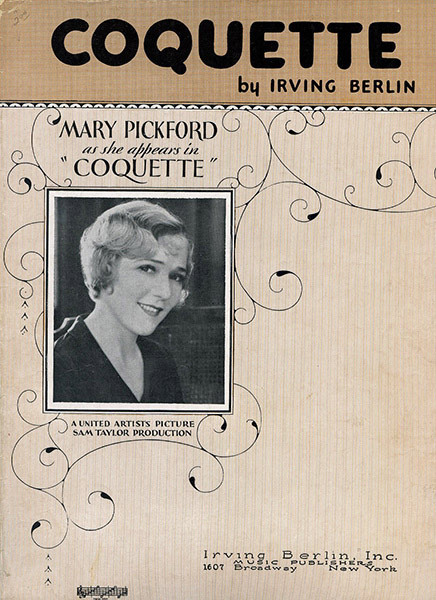 Note: Coquette was Mary Pickford’s first sound film, and the film for which she received a Best Actress Academy Award. ‘Coquette’ is the picture, and it is, as the popular designation goes, all talking. It brings Miss Pickford to the screen in a role unlike any that she has ever played previously. It discloses her changed in appearance by virtue of her bobbed hair. It demonstrates that she has a voice of lovely timbre, and that she knows how to use it with taste, and with even more definite discretion. … See ‘Coquette.’ It is another milestone. A money picture, easily, for it’s worth 75 cents for anyone to see Mary Pickford and Douglas Fairbanks do this kind of stuff in a vastly extravagant burlesque of Bill Shakespeare’s best laugh. The two stars often turn that into a howl. … As this was built for laughs only and gets them, nothing else matters. 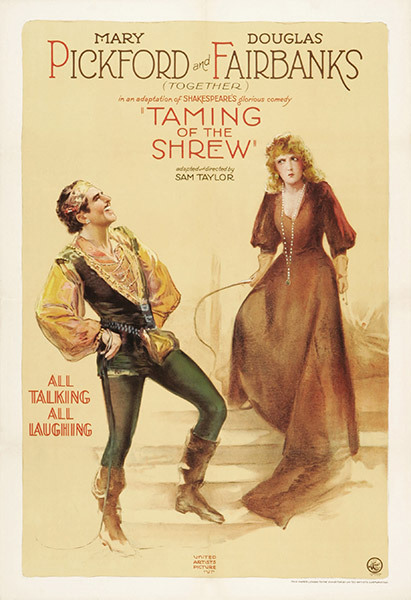 For laughs get money, and besides the laughs you have Mary Pickford, with Douglas Fairbanks – and Shakespeare at last! You’ll thrill tremendously at the metamorphosis of ‘America’s Sweetheart.’ Here’s no sugary, sticky-sweet Pickford; here’s the little rascal as much like the Mary of old as tabasco’s like syrup. Mary’s gone hot! – and saucily sophisticated. She prances in underthings, somersaults furiously in pajamas, gets bounced from a doorway. She lets herself be utterly ludicrous. You’ll laugh at the queen – but how you’ll love her! Why has Mary been hiding all this fire? Note: Leslie Howard’s role was originally intended for Gary Cooper. 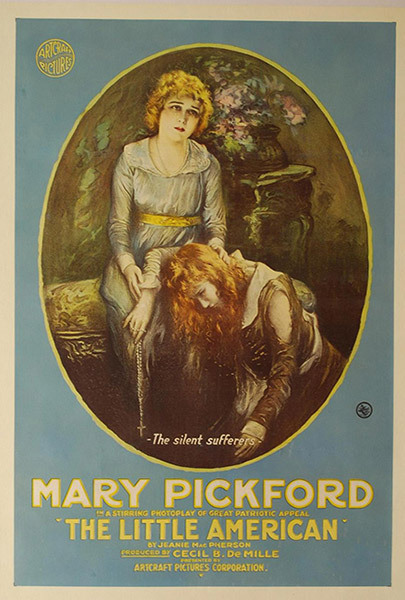 Mary Pickford gives a sterling proof of her capacity as an actress in ‘Secrets.’ … A genuinely poignant sequence is the death of the heroine’s baby during the western scenes… This scene is the high point of the picture dramatically, and shows that in evoking a depth of sympathetic feeling Miss Pickford can be as able and convincing as ever. Handkerchiefs were abundantly in evidence during its unfoldment.